Get ready for the biggest annual family and friend fiesta by embracing some making, swapping and do-ing with the Give Lightly Eco-friendly Christmas campaign! Delivered by Living Lightly, the Sustainable Living program of Coff Harbour City Council, Give Lightly is a punchy, free program of hands on swapping and making events to catapult you over the merry season finish line. We’re tapping into the joy of giving and gifting and the GOOD NEWS is with a few tweaks it’ll lighten our load on our hip pockets as well as mother earth. Five blogs to get you inspired! Reverse Christmas (& why we love it!). Grow your own festive table – what to plant now for genuine bragging rights at your Christmas feast. Do it yourself this Christmas – ideas for making your way through the giving season. Fix it don’t ditch it – How extending the life of our ‘stuff ‘ can be a virtuous pursuit. Meet the growers – Meet three of our own local growers and be inspired to put local produce on your festival table (&all year round). Give an experience. Create a personalised gift card for your local nature based experience. Make Christmas decorations for your tree or to hang around the home to celebrate. Colour it in! A great activity for young and old either in the lead up to Christmas or on Christmas day itself (between the feasting!). Frame it! The wreath can but used as a beautiful photo frame. Download the high resolution illustration here. Download the low resolution illustration here. 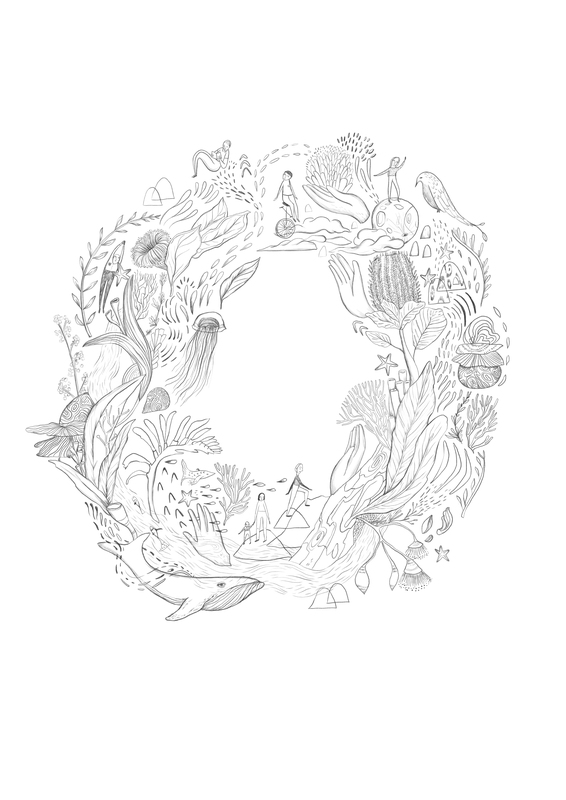 Download the black and white illustration here. Four things to do now for an Eco-Friendly Chrismas! Make it – Come along to one of our FREE workshops. Make amazing decorations for your tree, a stack of beautiful beeswax wraps, candles, body scrubs and air fresheners – perfect gifts for friends and families of all ages. Swap it – we are bringing back the star of the Plastic Free July program with two more kids’ toy and clothing combo swaps – a great way to extend the life of some pre-loved but well maintained toys and threads – maybe you’ll swap it for something you can gift this Christmas. Too easy! 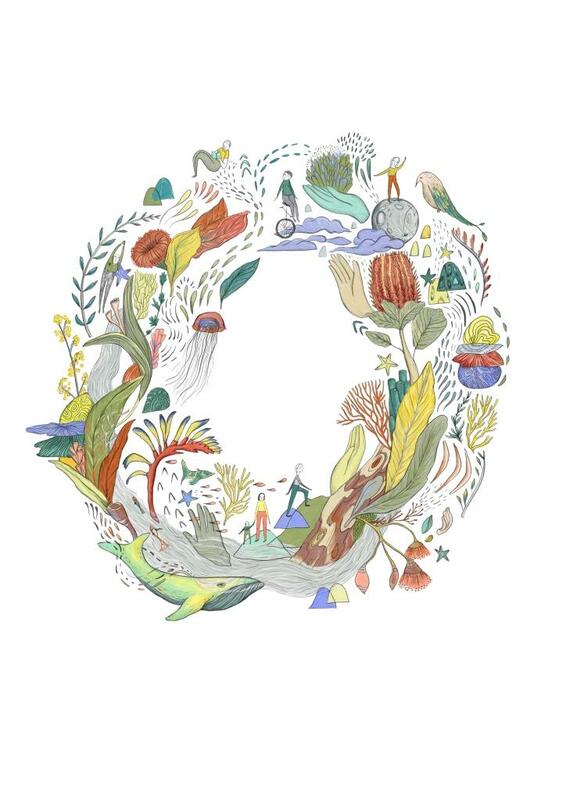 Give it – do something a little bit different, download any or all versions of our specially crafted Christmas wreath illustration by local artist Tara Ainsworth (above), and give a local experience that gets you together with your loved ones in nature. 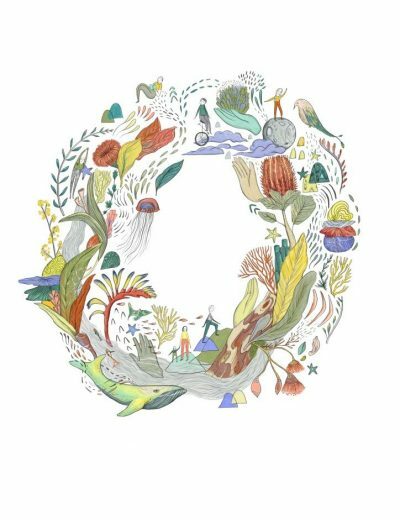 Simply be in it – celebrate being together in our natural world and all the gifts our local environment gives to us clean air, delicious food water, sunshine and abundant wildlife. Get out there, love your local beach, park or backyard and give the gift of a sustainable future. It is in your hands. All booking and event information click here.